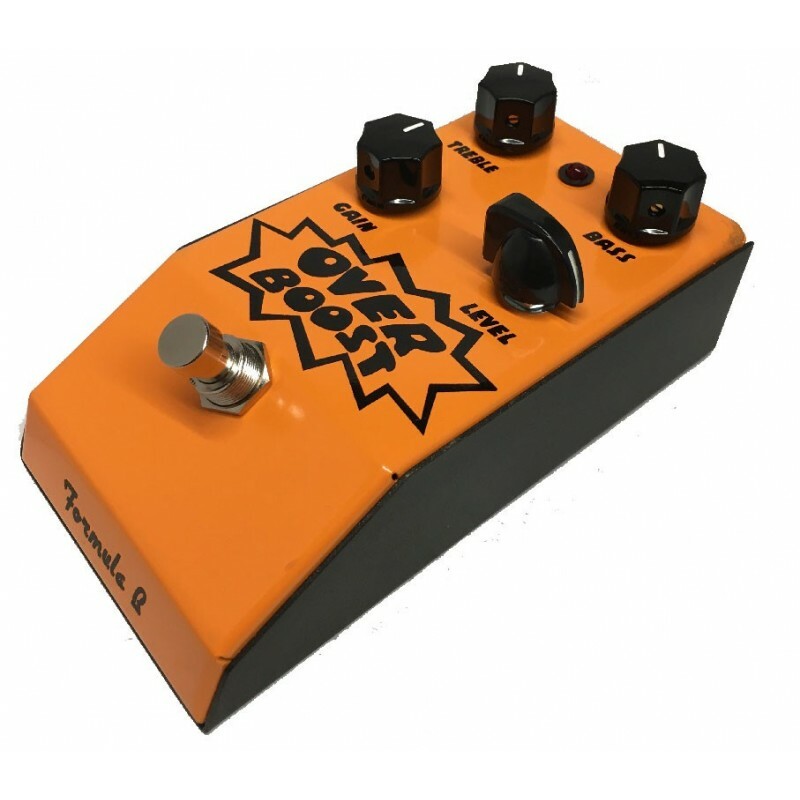 This one-of-a-kind pedal is equipped with an internal voltage doubler to give you the extra tone and headroom of the original 18v PowerBoost and still run on standard 9v power. 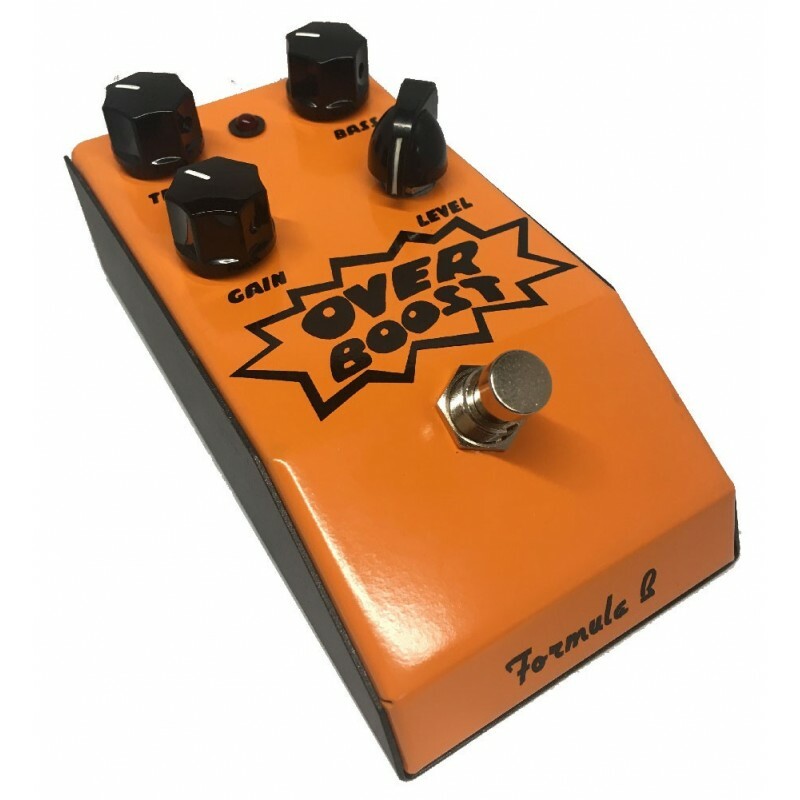 The Formula B Over Boost also has a LEVEL knob, which serves to adjust the pedal according to the use you want, a sort of Master knob that balances the amount of distortion/output level together with the GAIN, so it can switch from a clean boost to a slight crunch/overdrive ending in fuzz saturation, very natural never compressed. 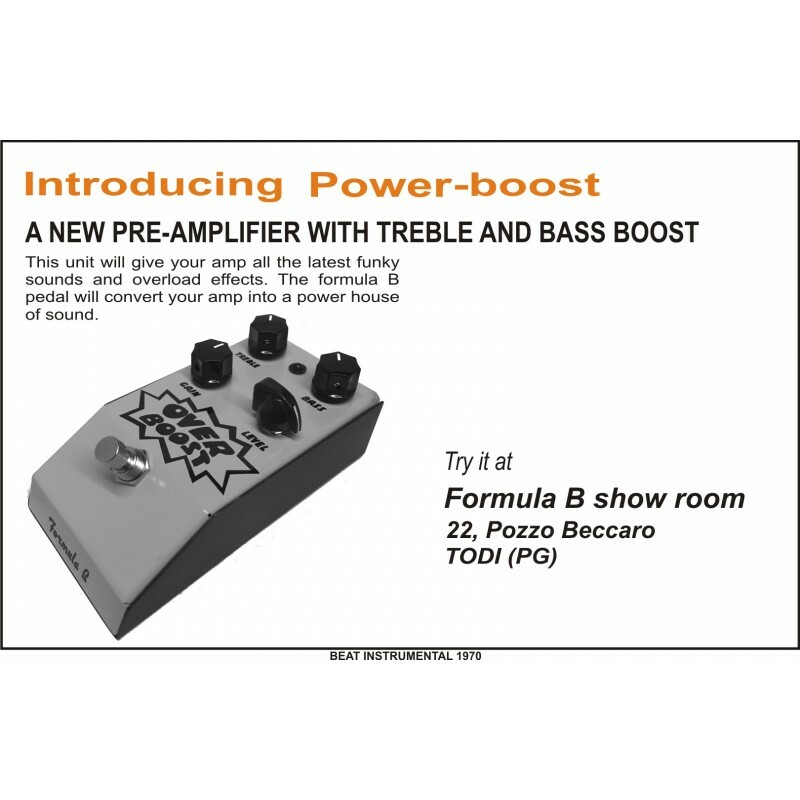 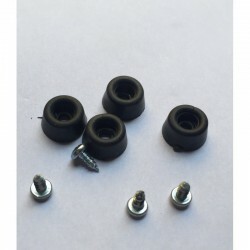 In addition to GAIN and LEVEL, there are the equalization settings TREBLE knob for the highpass filter and the BASS knob for the basspass filter. Great dynamics, sounds by the touch of the plick on the strings and by the volume knob of guitar. 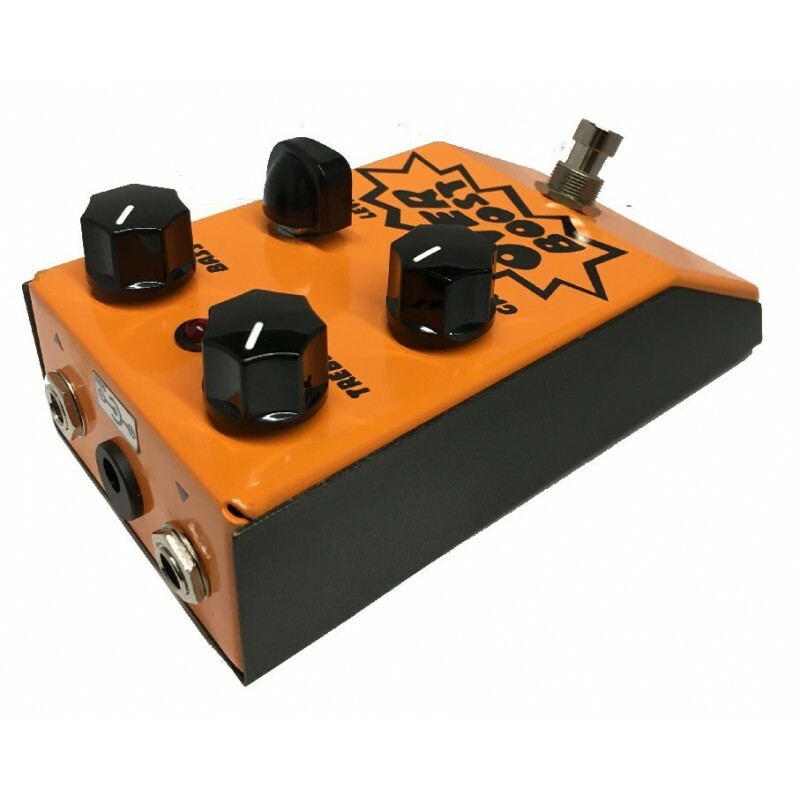 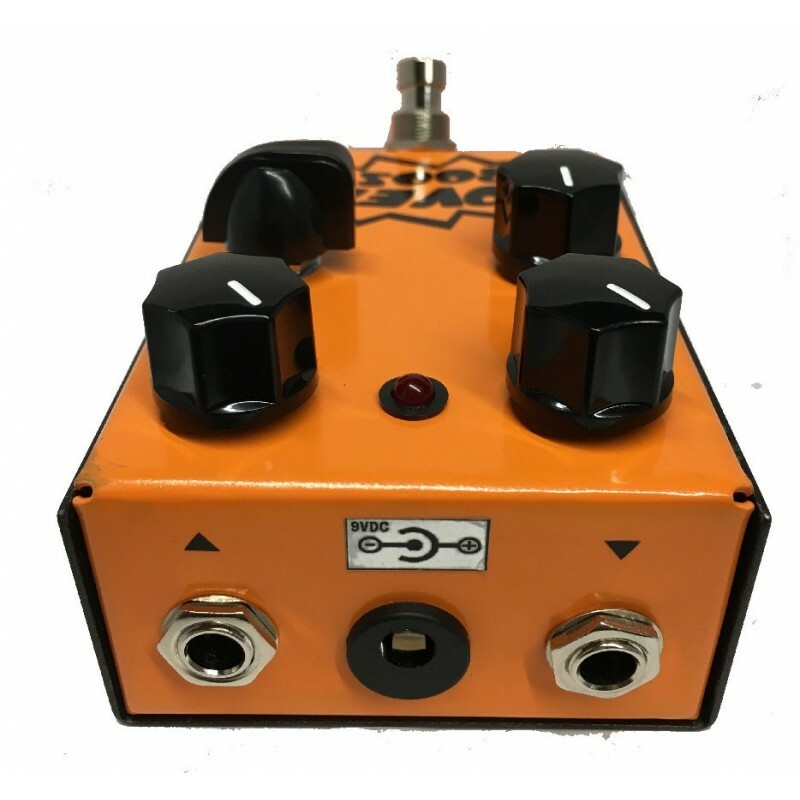 It works well in any configuration, either as a pre, where we can boost other distortion or muff pedlas and at the end of the chain to equalize and give you extra headroom.